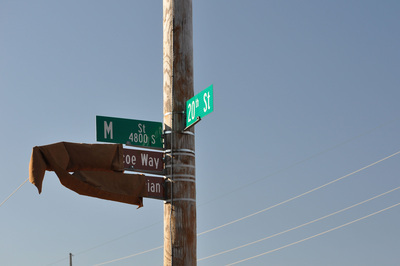 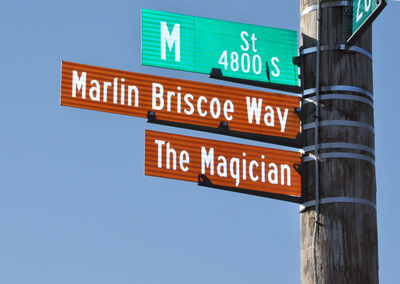 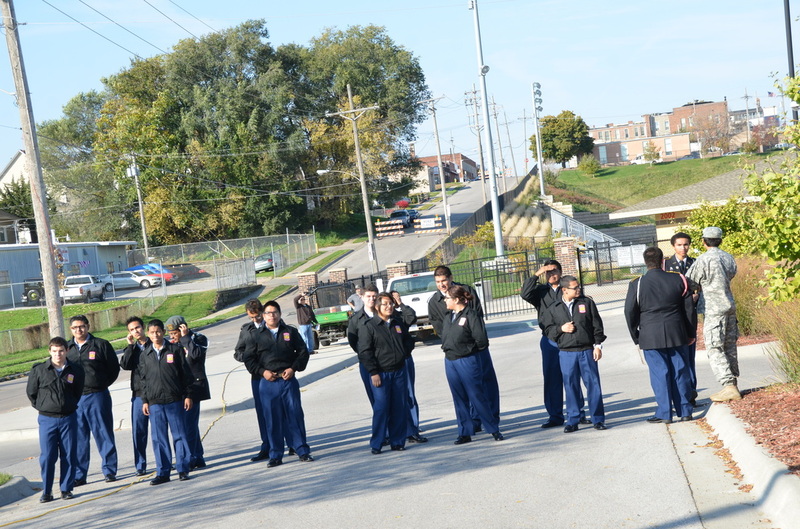 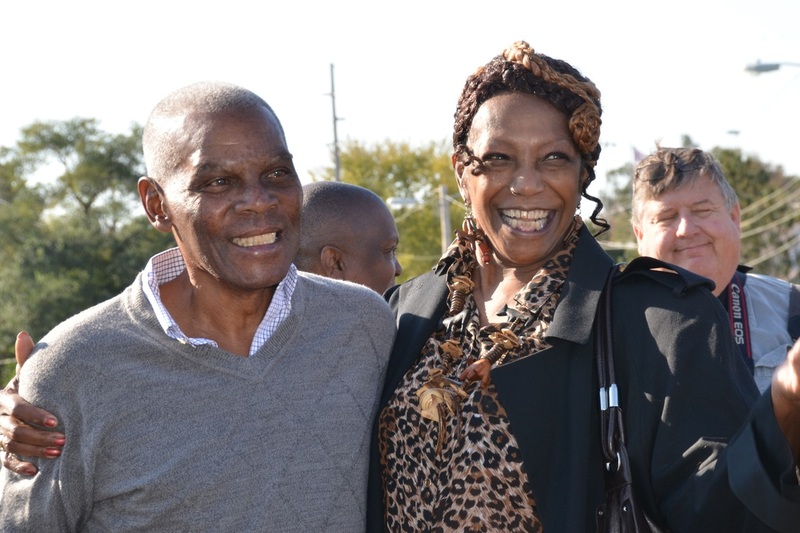 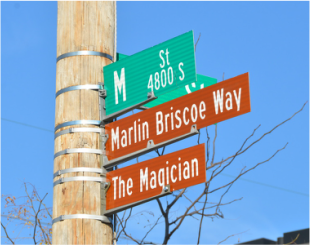 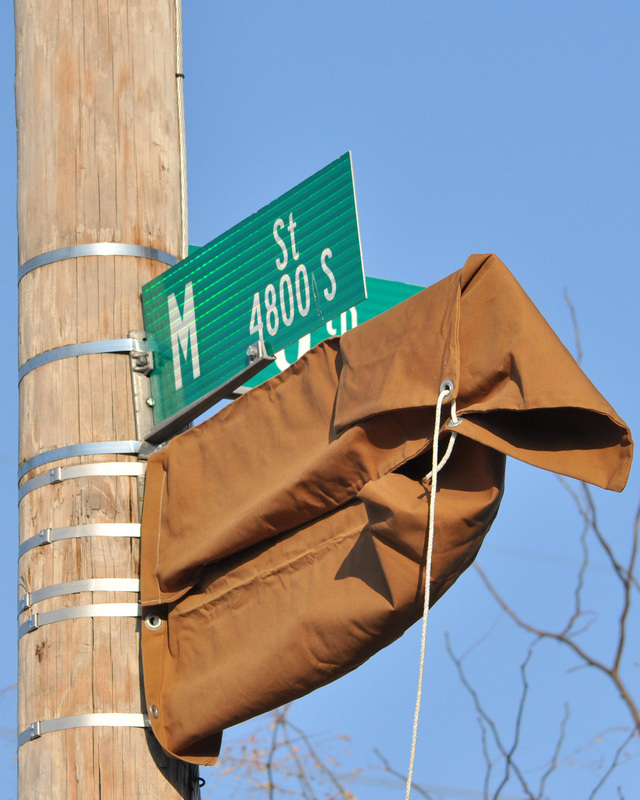 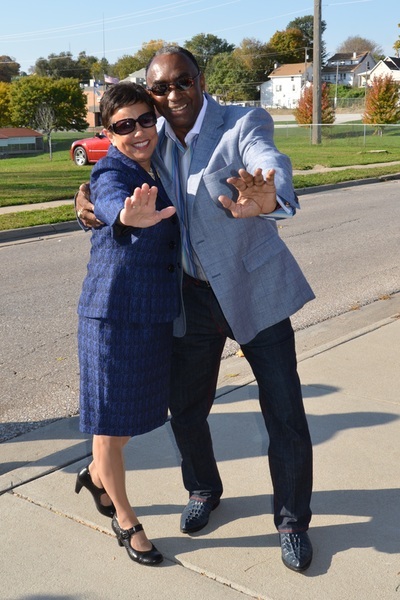 _On October 22, 2014, 'M' Street from 20th to 23rd was renamed Marlin Briscoe Way in honor of Marlin "The Magician" Briscoe. 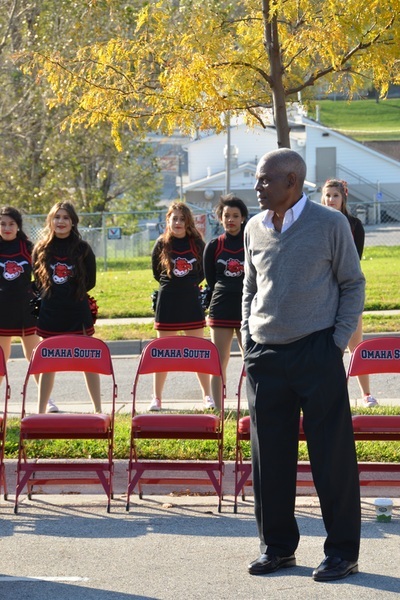 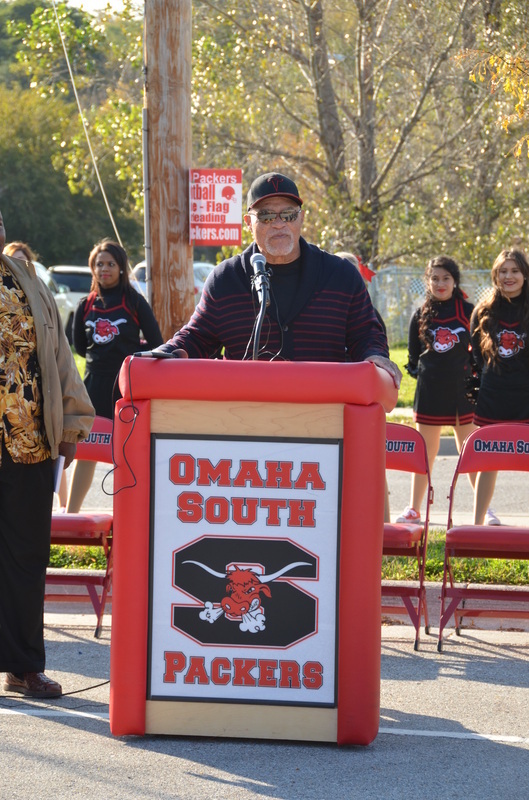 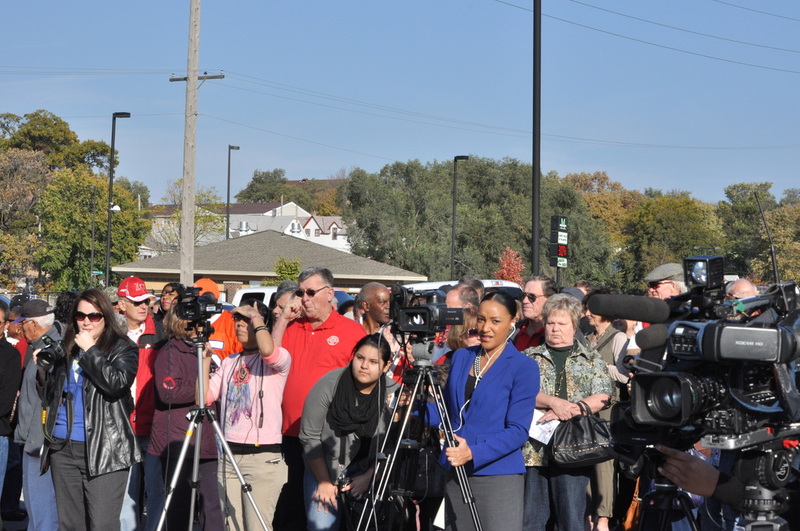 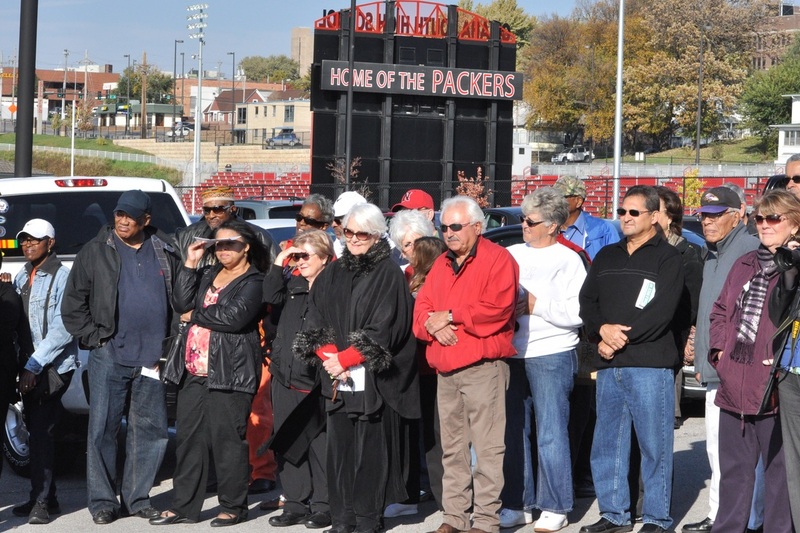 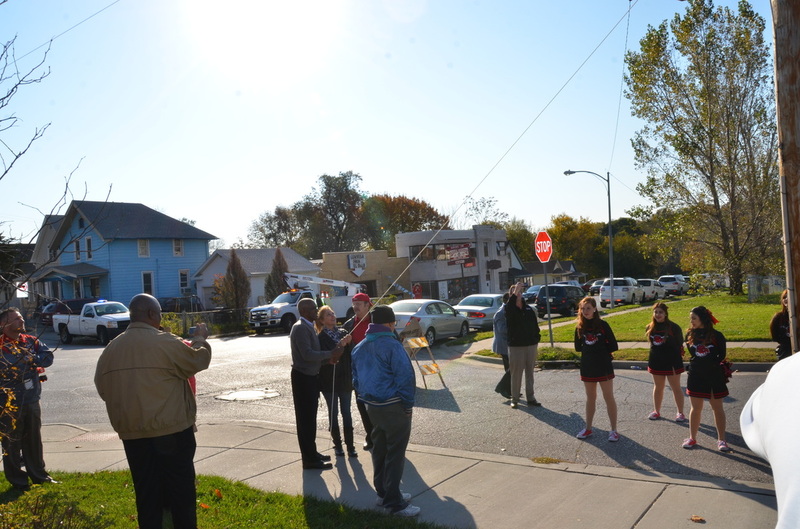 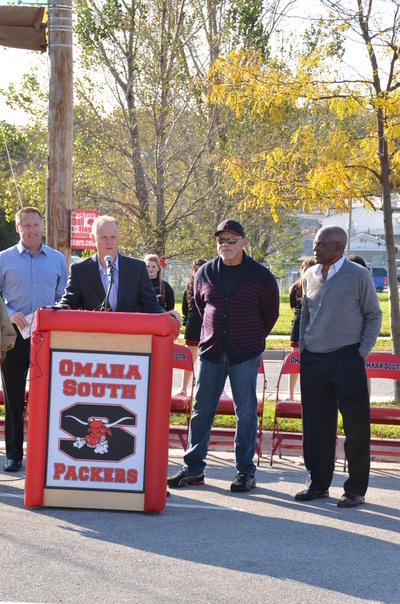 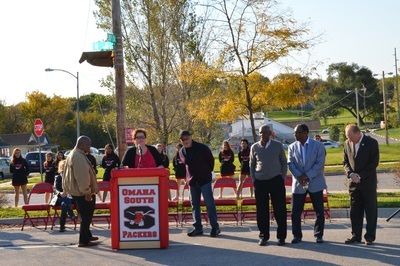 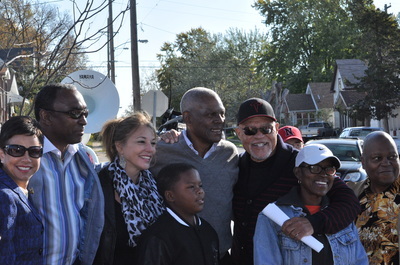 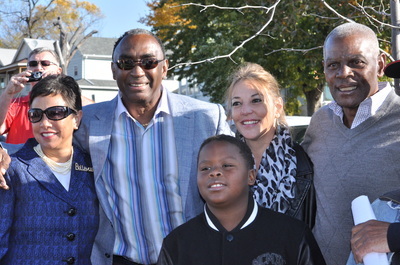 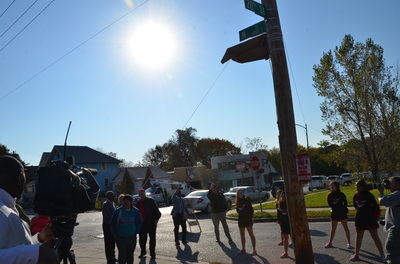 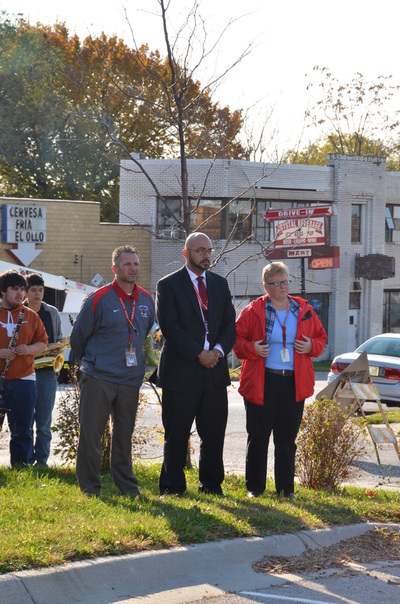 More than 100 people gathered to watch Marlin Briscoe unveil the street sign approved by the Omaha City Council. 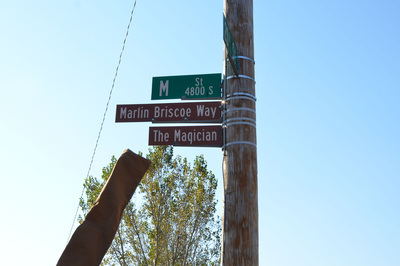 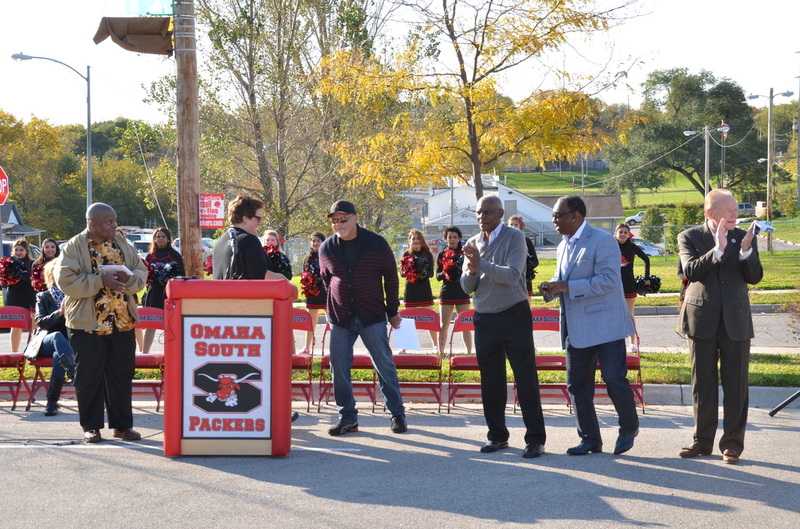 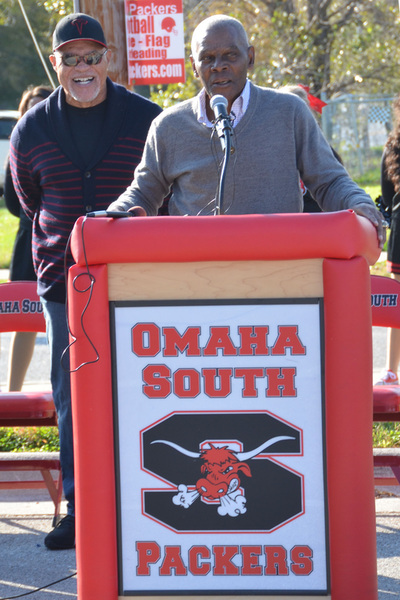 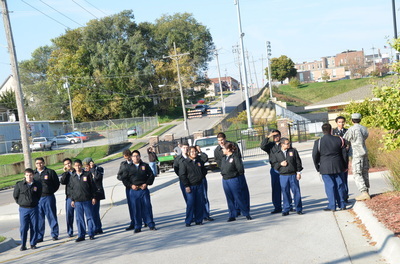 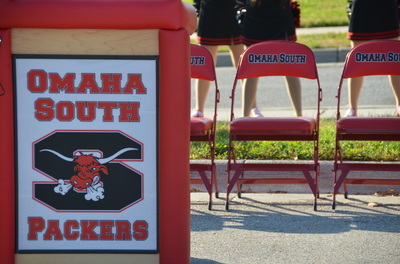 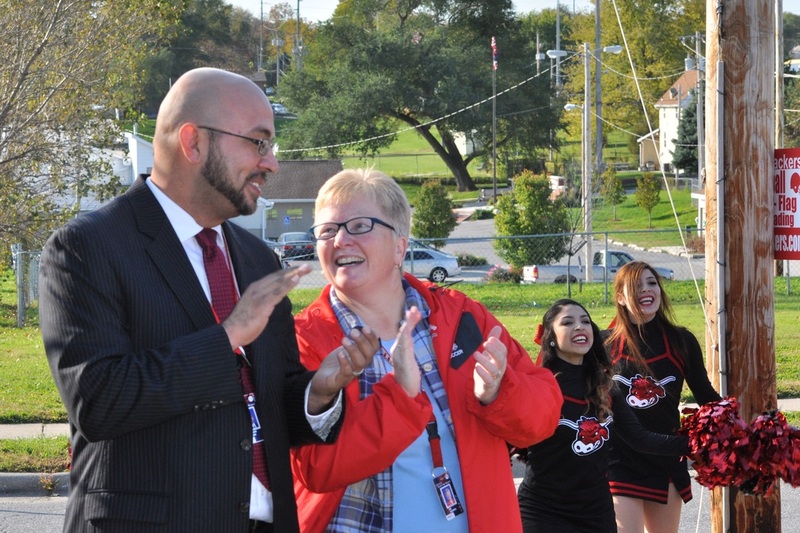 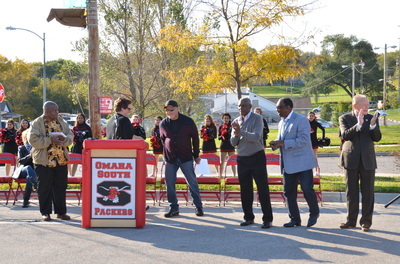 A second sign unveiled uses his nickname, "The Magician" and now resides at Omaha South High School. 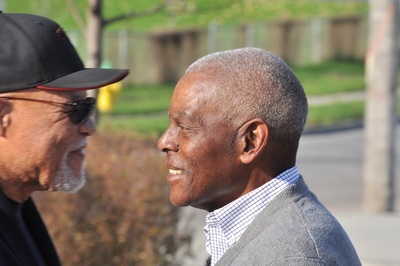 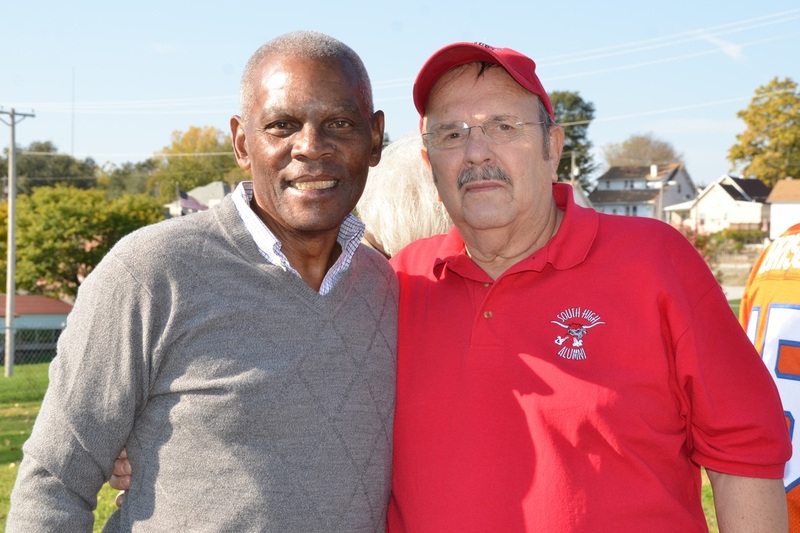 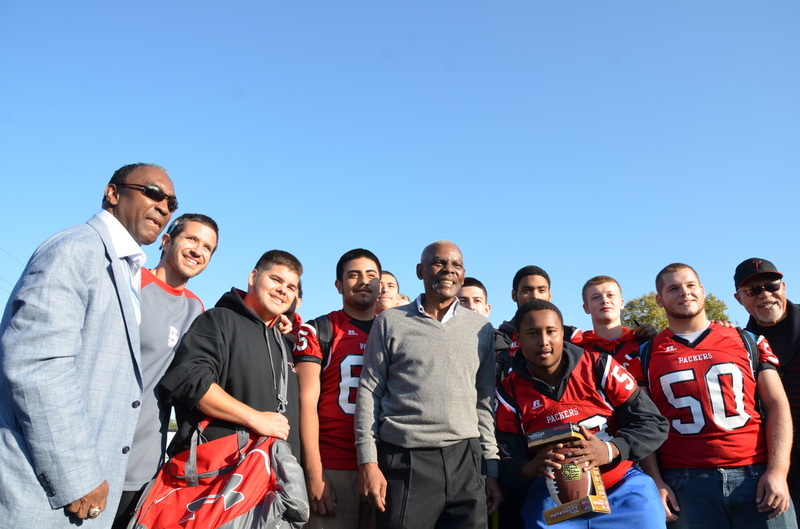 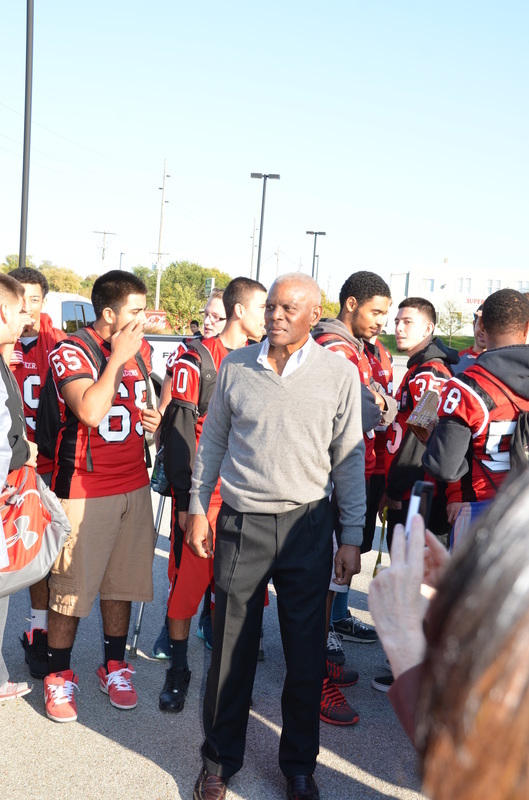 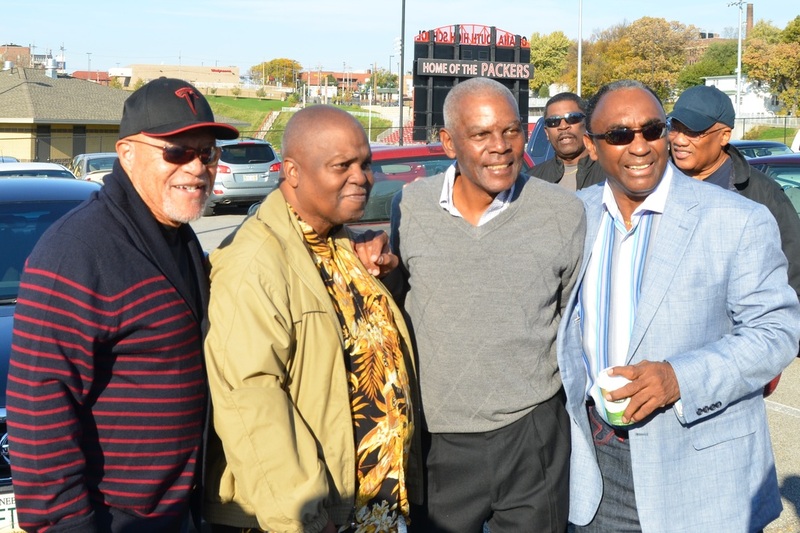 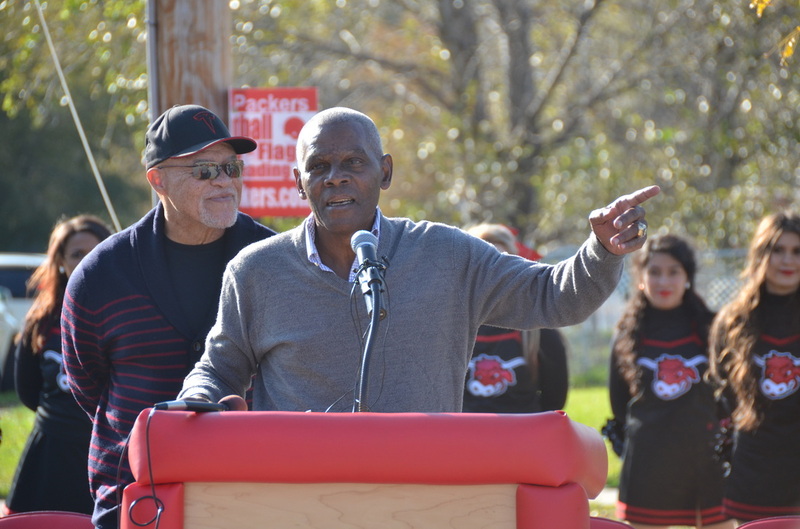 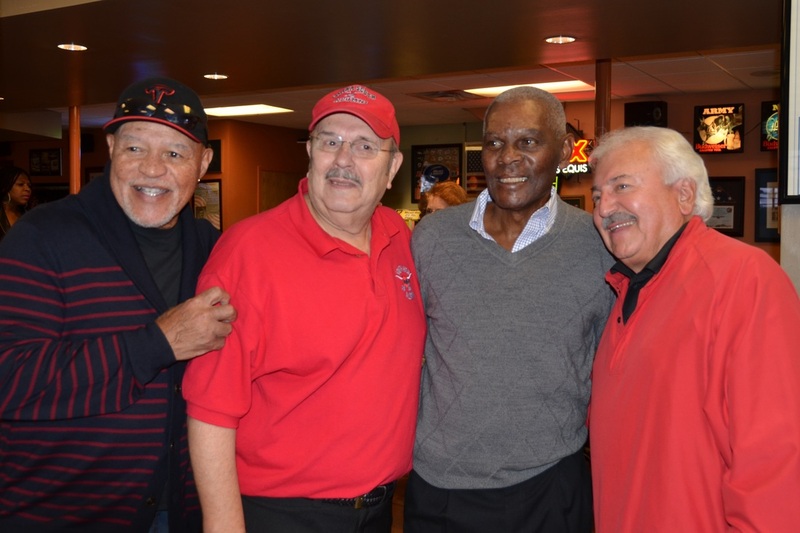 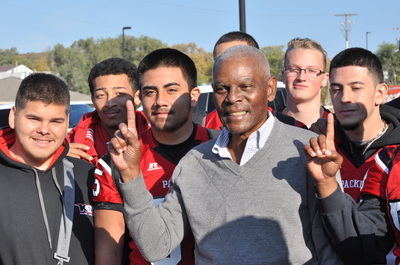 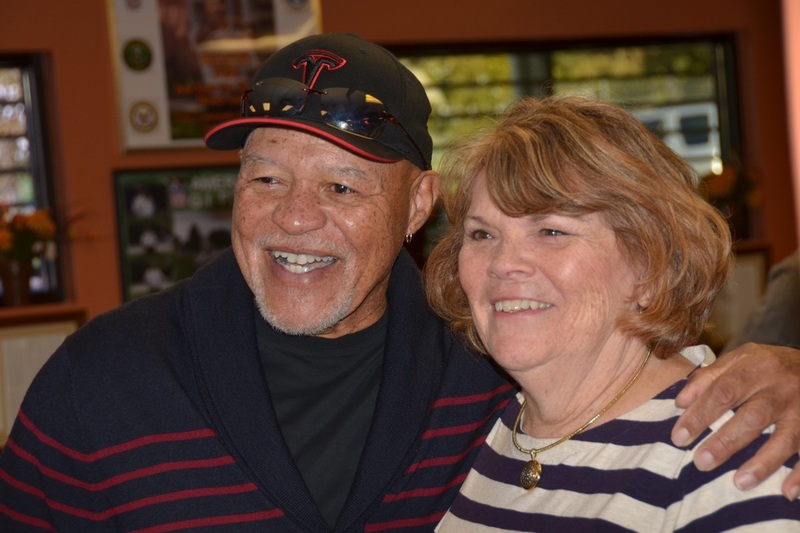 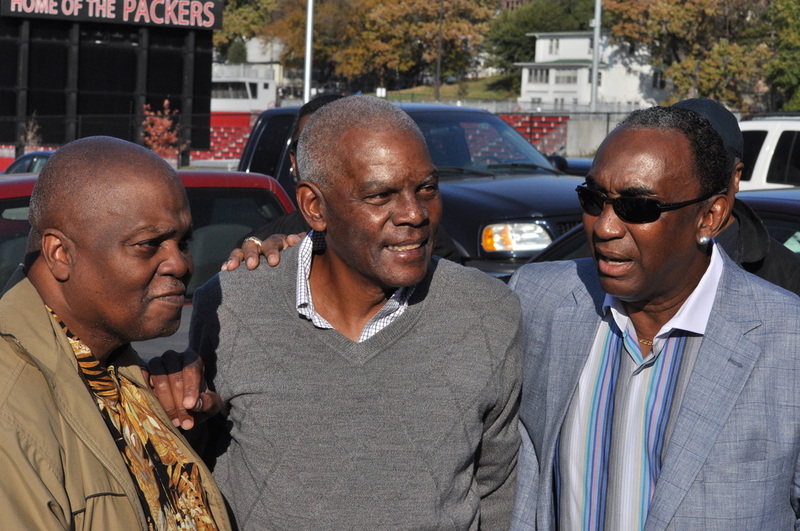 Marlin went to South High and graduated in 1963, and, among other accomplishments, went on to become the first black starting quarterback in the NFL. 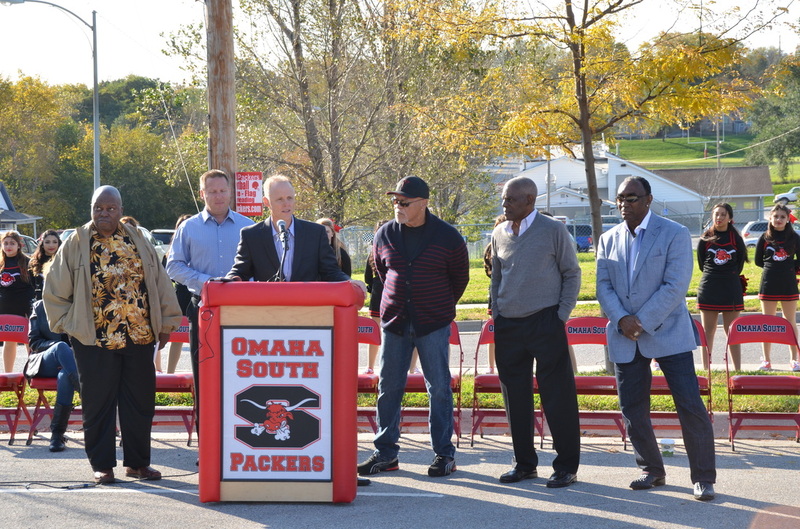 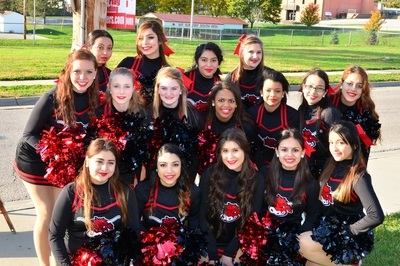 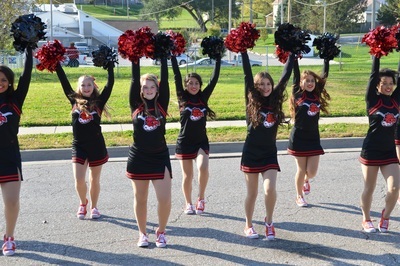 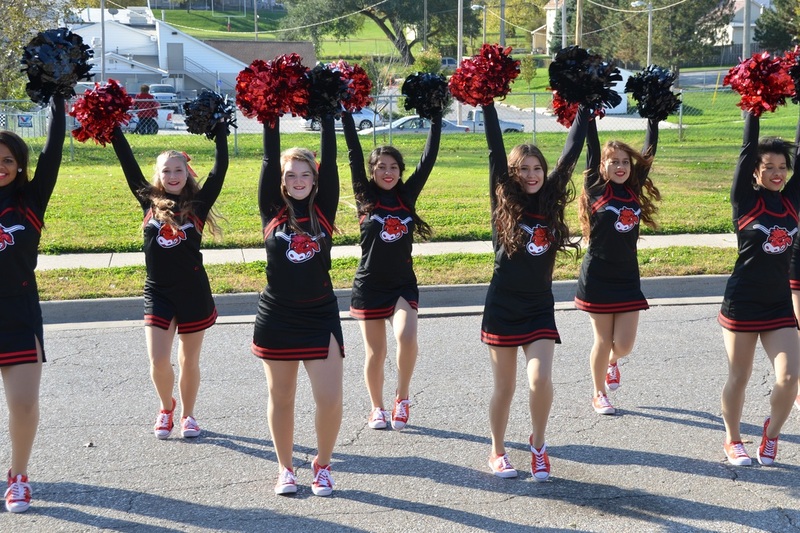 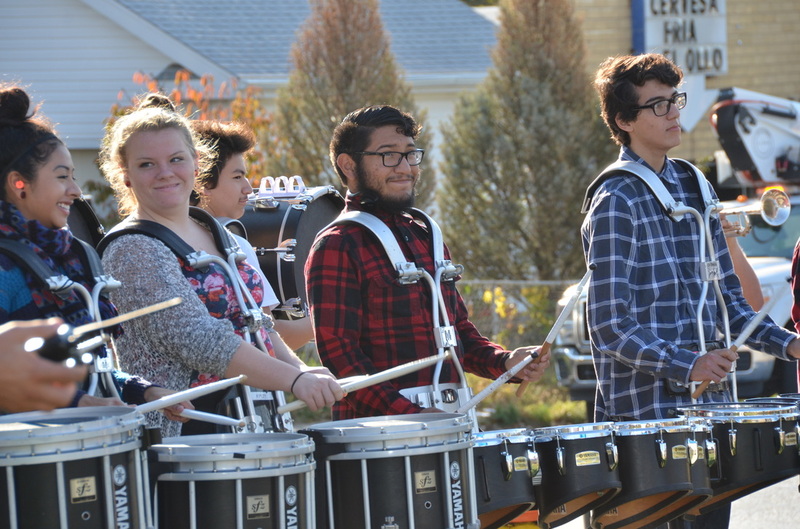 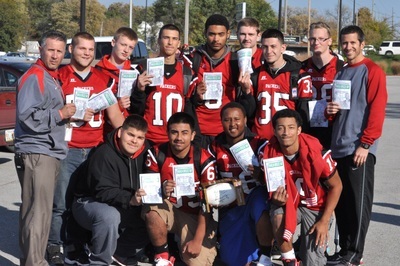 After high school, Marline played college football at Omaha University (now UNO). 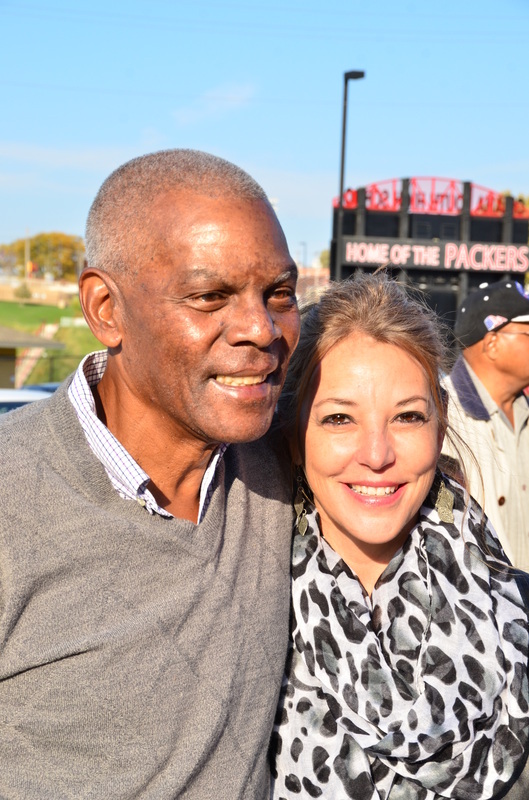 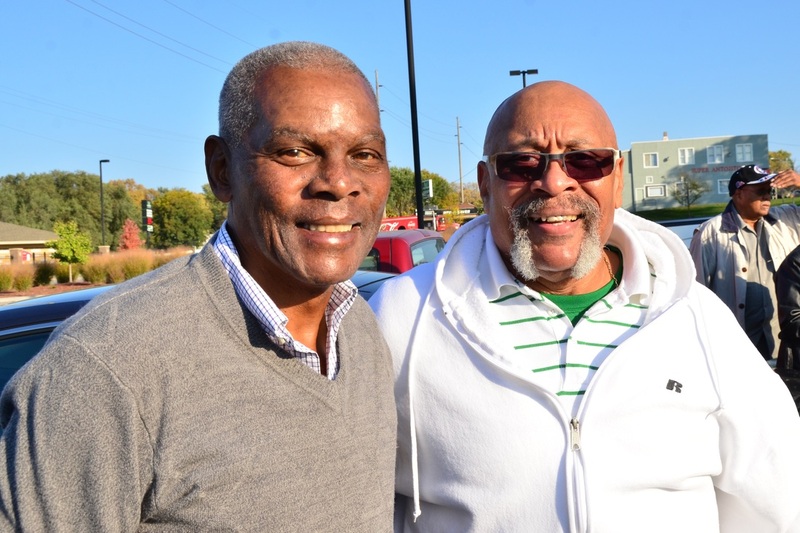 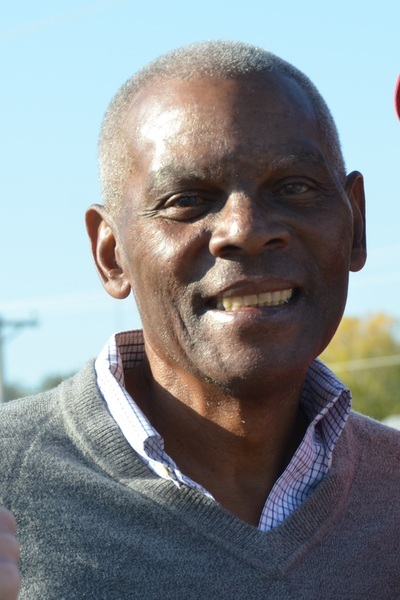 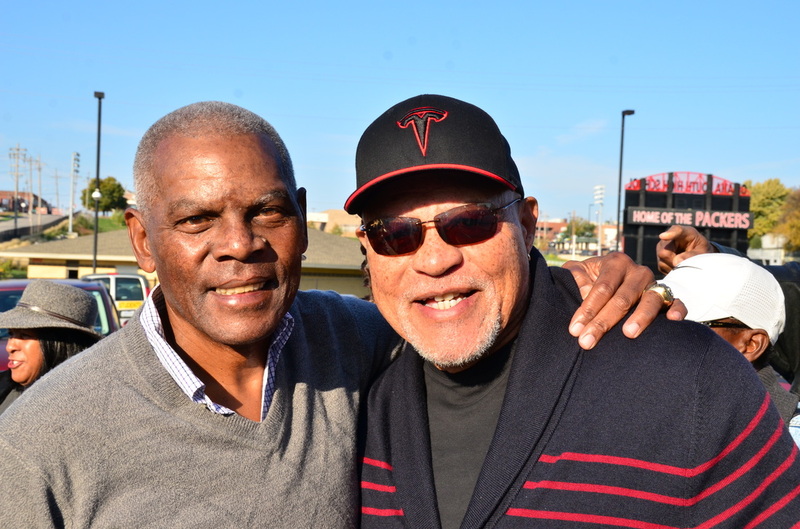 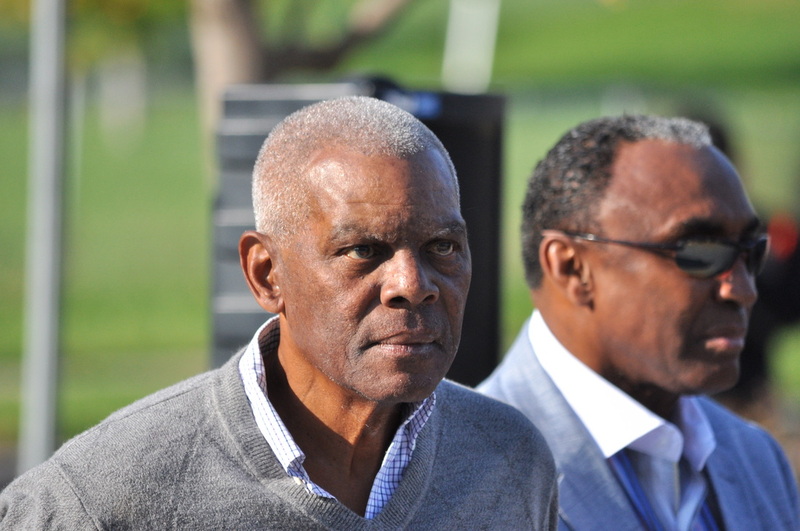 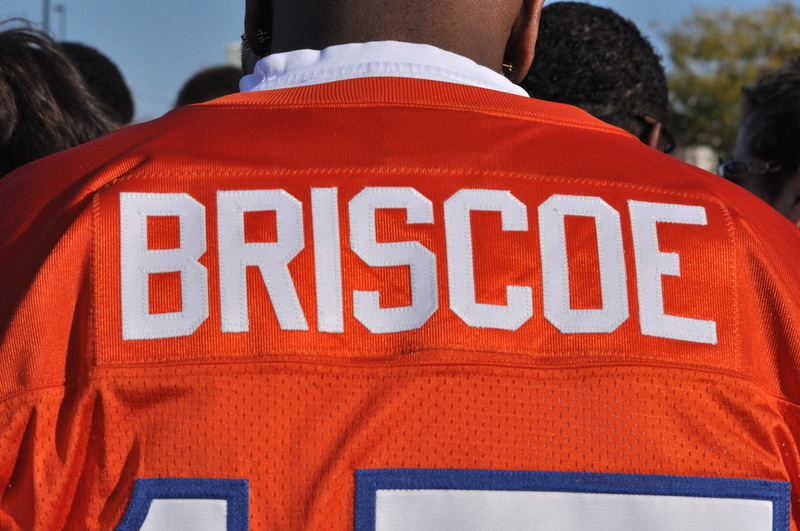 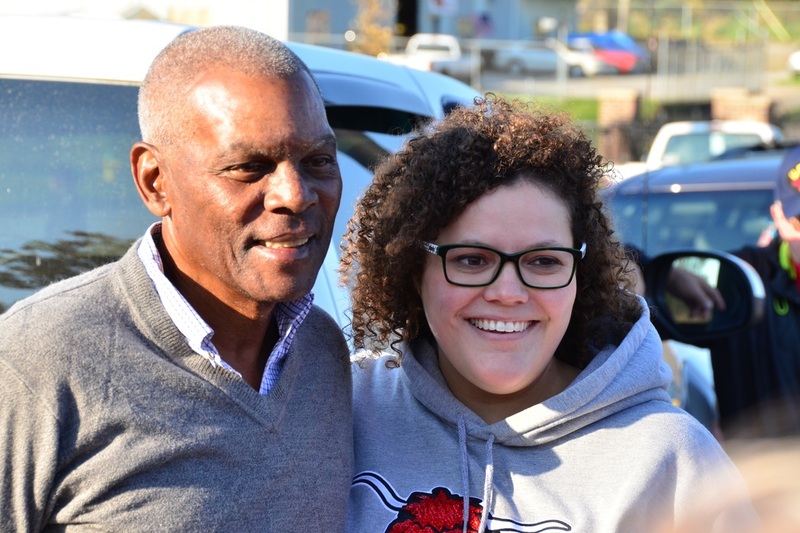 In 1968, Briscoe was drafted by the Denver Broncos in the 14th round and became the first starting black quarterback in the NFL. He passed for 1,097 yards and scored 14 touchdowns as a rookie. 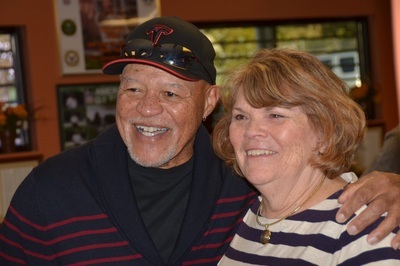 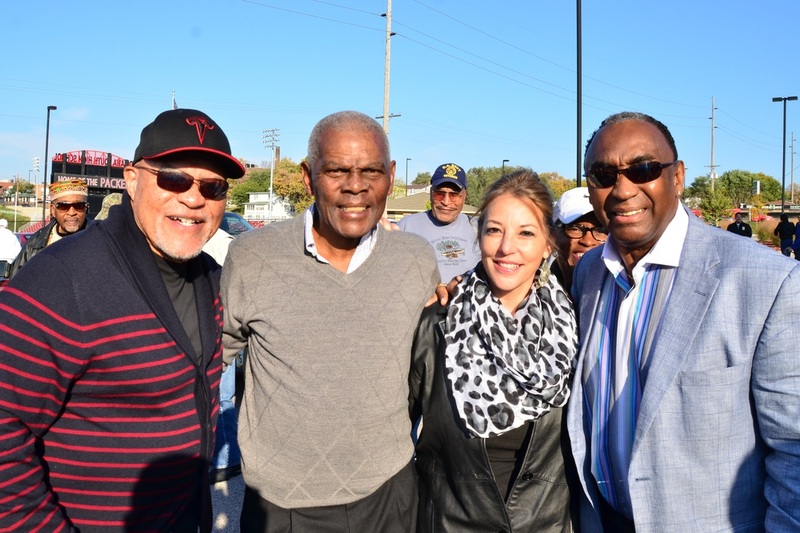 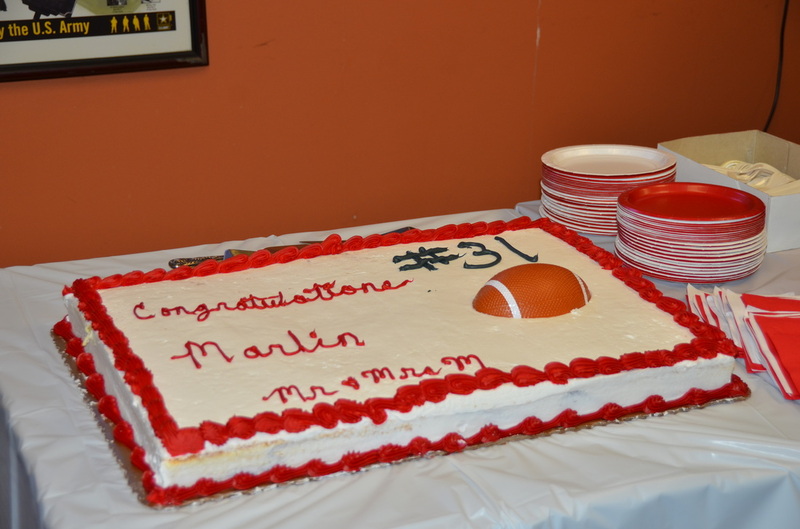 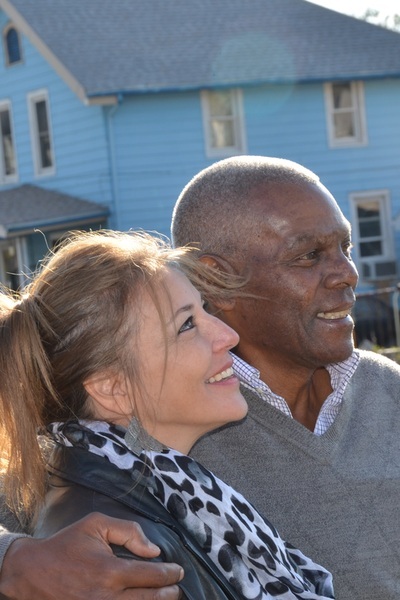 Marlin played nine seasons in the NFL, including several as a wide receiver for the Buffalo Bills, Miami Dolphins, San Diego Chargers, Detroit Lions and the New England Patriots. 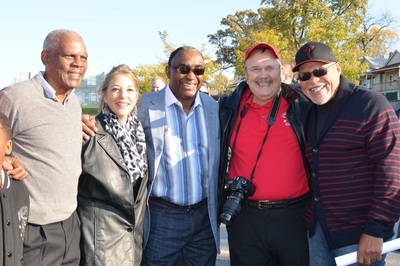 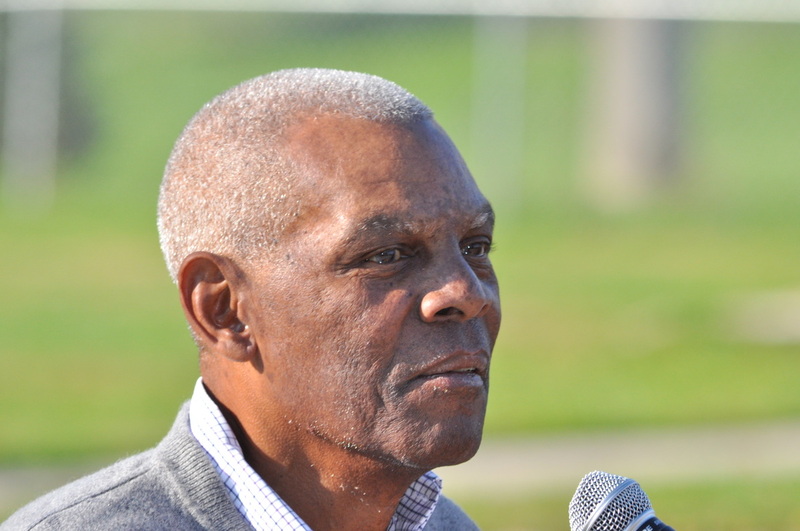 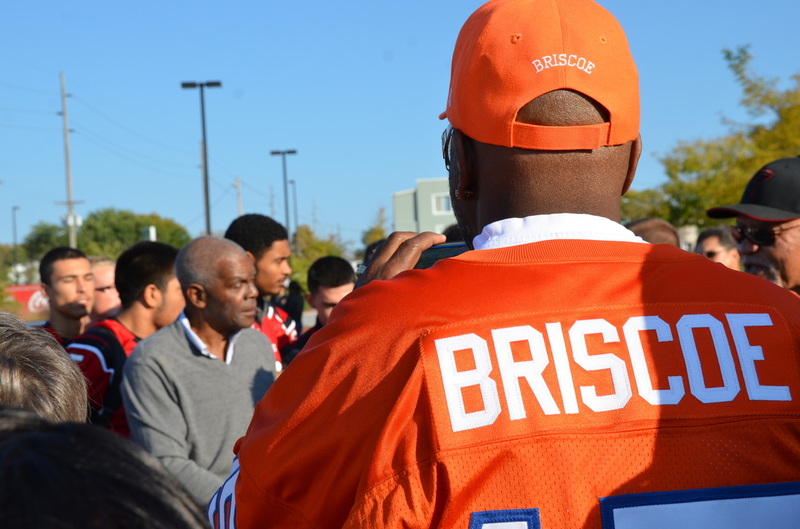 While with the Dolphins, Briscoe was a Super Bowl champion in 1972 and 1973. Today, he and his wife Michelle reside in Long Beach, California. Marlin is the director of the Boys and Girls Club there.